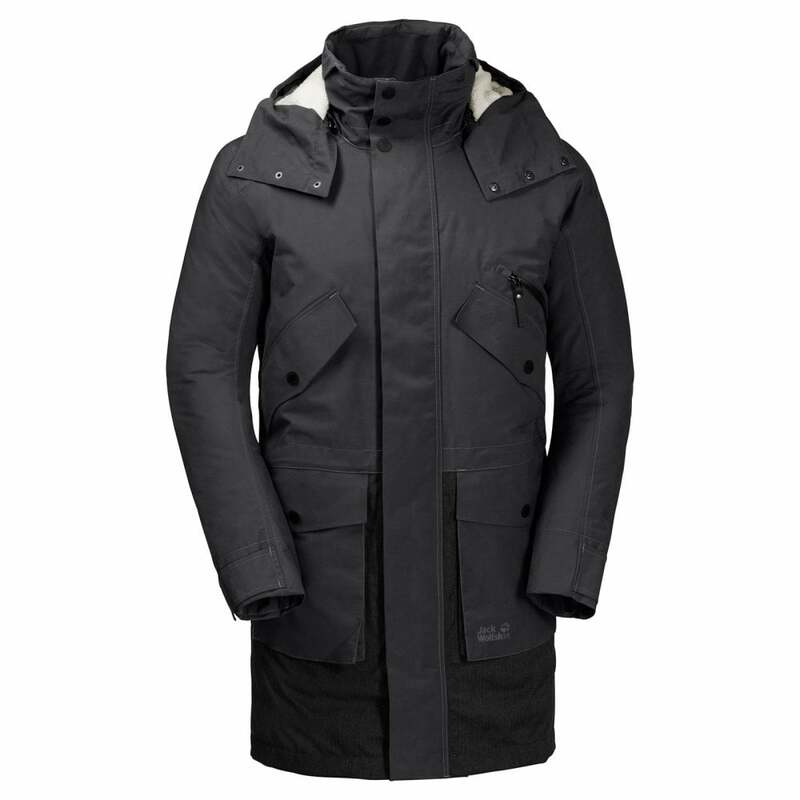 The Jack Wolfskin Mens Skagen Parka is a waterproof, multi pocketed parka great for keeping you warm and dry all day long, whether that be in the countryside or walking around town. The garment utilises Texapore 2L fabric, a waterproof, windproof and breathable fabric designed to offer complete weather protection while being highly durable. The breathable nature of the fabric allows moisture vapour to escape, ensuring you stay comfortable and dry in the wettest of conditions. The fabric is completely windproof which keeps cold winds at bay and eliminates windchill. The warm 80/20 down (80% down, 20% feathers) with 550 fill power offers excellent lofting and insulation, providing exceptional warmth at minimal weight. This high quality natural down is also certified according to ethical standards. Microguard synthetic insulation is a fast-drying loose fibrefill insulation that provides superior heat retention in cold weather. The stable loft insulation traps warm air and prevents heat from escaping quickly, making it an ideal choice for enhanced cold weather protection when the temperature drops and the wind picks up. Multiple pockets provide convenient storage for essential items, allowing you to stay organised while also having your most important things to hand.